CHANGING YOUR GROWTH TRAJECTORY in 2019?. 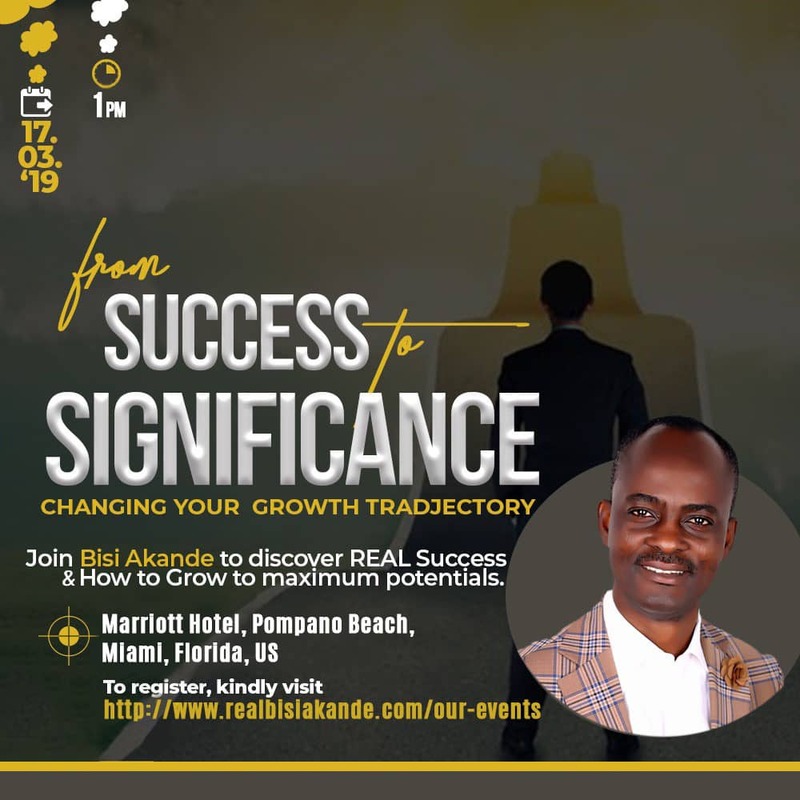 Join Bisi Akande – A Certified John C. Maxwell speaker and Trainer on how to discover your REAL SUCCESS and Grow to your Maximum Potentials. Venue: Marriot Hotel, Pompano Beach, Florida, United States.